A Cuba Pictures Production for BBC One and AMC. BBC One’s ground-breaking international thriller McMafia is created by Hossein Amini and James Watkins and inspired by Misha Glenny’s best-selling book of the same name. It charts Alex Godman’s (James Norton) journey as he is drawn deeper and deeper into the world of organised crime. As the English-raised son of Russian exiles with a mafia history, Alex has spent his life trying to escape the shadow of that criminal past, building his own legitimate business. But when his family’s past returns to threaten them, Alex is forced to confront his values to protect those he loves. What starts out as a story of survival and revenge becomes an epic tale of a man’s struggle against the lures of corruption in the modern world and in himself. 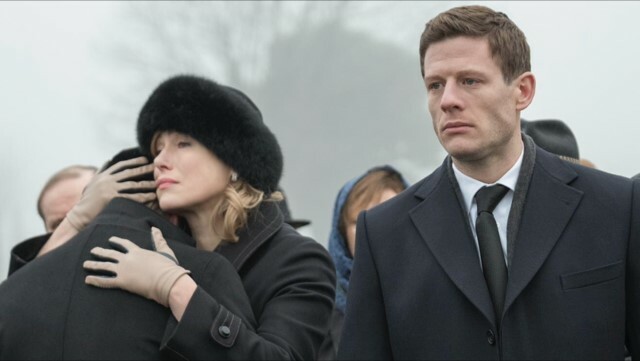 McMafia is global in scale and forensic in detail. Series One is the fourth most popular drama title on BBC iPlayer ever and episode one is the most watched content on BBC iPlayer of 2018. A second series is in development for BBC and AMC.